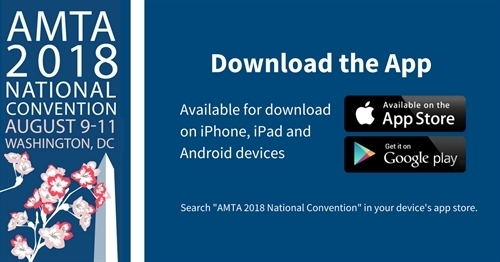 Search for “AMTA 2018 National Convention” in the iTunes App Store or the Play Store for Android users. Choose a day to see the list of events scheduled. Tap on the location to find the session on the convention center map. Tap the “Add to My Schedule” icon within the description to add classes you registered for to your personal “My Schedule” view. View a listing of speakers scheduled to present at this year’s convention. Tap on each name to see speaker bios and background. 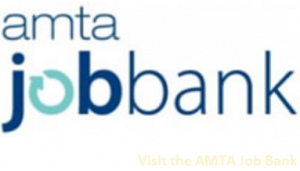 Browse a listing of all exhibitors listed alphabetically. Tap on exhibitor names to see their booth number, and add a note. Navigate your way through the Convention Hotel and the Exhibit Hall. Create notes from education sessions and networking events. Add tasks to visit a specific exhibit. Find a list of events you added to your schedule from the sessions listings.